Tired of window shopping? We have a solution for that! 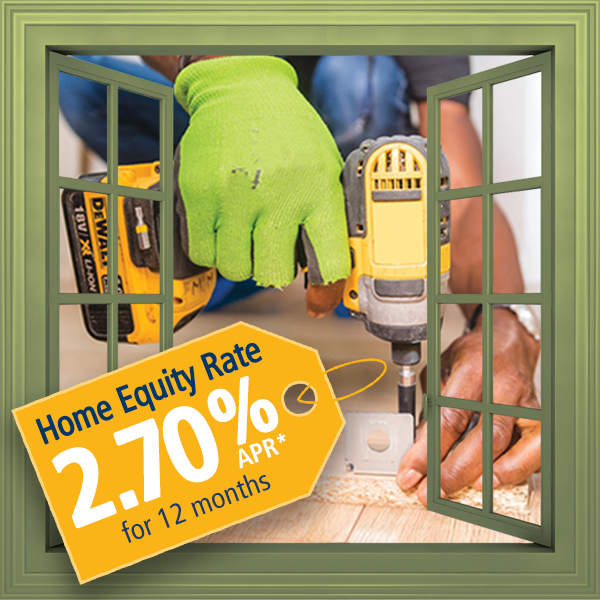 Your home’s equity and our special Intro rate 2.70%* on a Home Equity Line of Credit makes it all possible. Take advantage of our special Home Equity rate and get the most out of your home. With a home equity line of credit, you can borrow against the equity in your home to pay for a variety of expenses. We can help you decide which option best meets your needs. Applying online is as easy as 1-2-3. You can apply in as little as 20 minutes. *An introductory rate of 2.70% Annual Percentage Rate (APR) is accurate as of April 1, 2019 and effective for 12 months beginning from the date of the loan documents. Introductory rate offer available on new home equity lines of credit or renewing home equity lines of credit with limit increases of at least $10,000. After 12 months, the APR reverts to Prime Rate as published in the Wall Street Journal (currently 5.50%) + 0.50%, with a floor of 4.00% APR. The APR is a variable rate. Offer available with any new or existing Highland Bank checking account and requires automatic payments, loan amount of $10,000 to $100,000 and loan-to-value (LTV) of 80% or less. Minimum and maximum APR that can apply during plan is 4.00% and 18.00% respectively. 60 month term. Interest only payments. A balloon payment will result. Appraisal required only when taxed assessed value is greater than $400,000. No closing cost on loans up to $100,000.00. Loans greater than $100,000.00, borrower required to pay all closing costs which range from $0.00 to $3,529.00. An annual fee of $95.00 is waived for the first year and any subsequent year where the minimum average outstanding balance is $10,000 or greater. Property insurance required. Offer subject to credit approval. Offer expires 4/30/19.